The more I see from the Joe Fresh spring lineup, the more excited I am that the days are finally warming up enough to consider pulling out a "fresh" spring wardrobe. 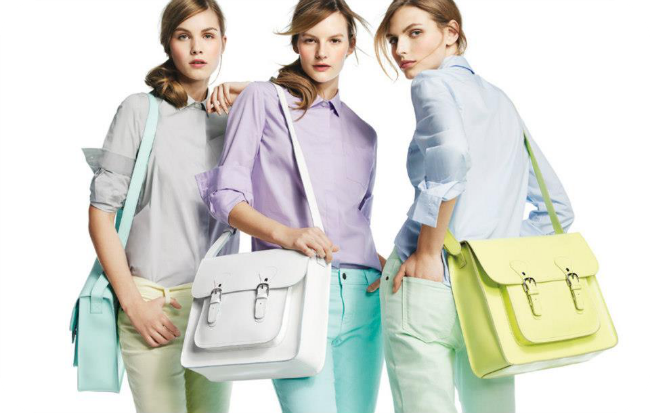 I'm already coveting that leather satchel (although I'm undecided between white or mint! ), and can't wait to fill my closet up with colourful jeans, easy blouses, a brightly printed trench and pretty pleated skirts. Last but not least, one major must-have from Joe's spring line (if I can find it in my size when I visit the new standalone store in Ottawa while I'm there over the next couple of weeks) - that perfect black and white striped dress. Such a winner! And I see it transitioning perfectly into fall looks too. To my fellow Joe Fresh fans here in Canada and south of the border - what fresh style are you most looking forward to this spring? OMG the black & white dress and the leather satchel. So good. Gorgeous pieces! I adore Joe Fresh! I just bought a aqua colored tweed pencil skirt and floral pants from the spring collection and I love it! I love that black and white dress - it's been too long since I've made it into a Joe Fresh...clearly I need to do something about that! I have a sort of love/hate relationship with Joe Fresh... I always love everything when their lookbooks debut. I mean seriously, that striped dress could not be more perfect! But when I get to the store, I'm always disappointed by the quality and fit. Except in shoes. I'm a bit obsessed with their shoes. Probably a good thing I'm not in Canda for the spring launch, ha ha! Loving their bright coloured jeans and what a great price at $19 a pair!